click photo to enlarge One thing we discovered on our trip was that California has some wonderful state parks. Unfortunately many are slated to close in 2012 due to budget problems. 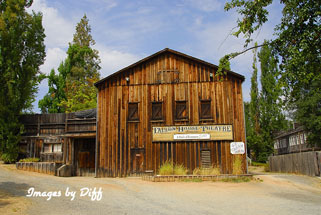 Columbia is one of the best preserved gold rush towns in California. 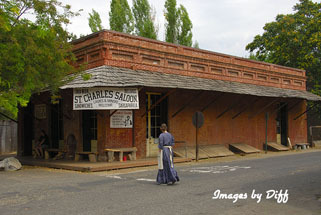 Some of the old buildings still operate as the same type of business they did in the 1800s such as a hotel or saloon. click photo to enlarge The gold rush started in Columbia in March of 1850. In less then a month Columbia had several thousand miners. The first year was almost the last for the new town. Water, indispensable for mining placer gold, was in short supply. The area had no natural streams, only gulches carrying runoff from rain and snow. 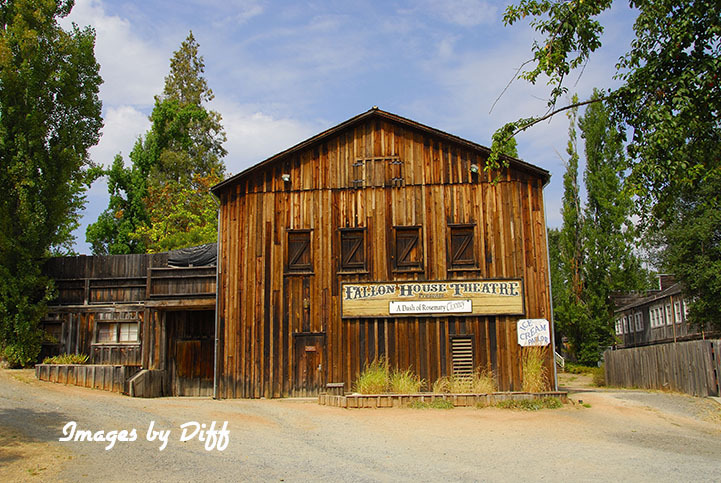 So, in June 1851, the Tuolumne County Water Company was formed to bring water into the area. 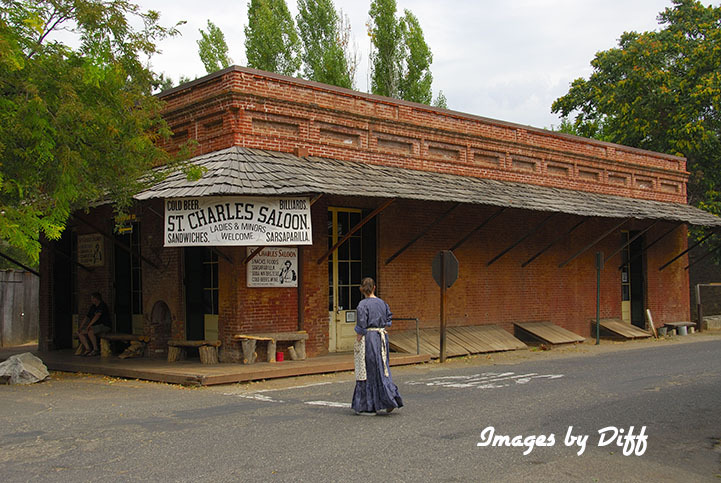 The Tuolumne County Water Company's rates were high, the miners formed the Columbia and Stanislaus River Water Company in 1854 to build a 60 mile aqueduct to supply the mines. 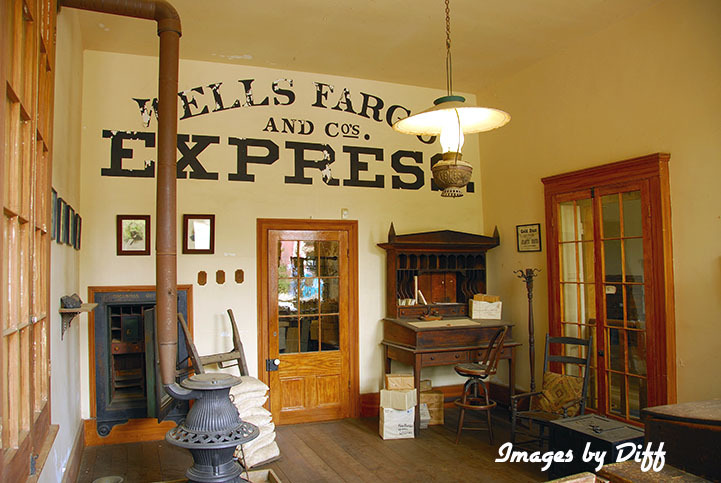 click photo to enlarge After 1860, when the easily mined placer gold was gone, the town began to decline. Then in the 1870s and '80s many of the vacated buildings were torn down and their sites mined. Columbia's population dropped from a peak of maybe six thousand to about five hundred. 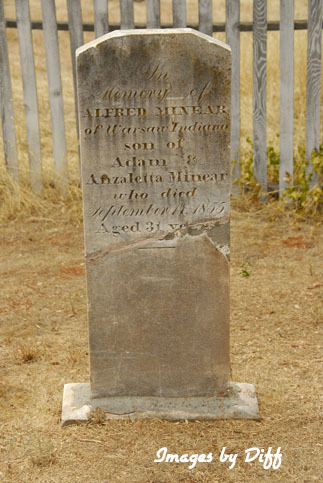 In the local cemetery there are headstones dating back to the 1850's. The old school house is preserved. 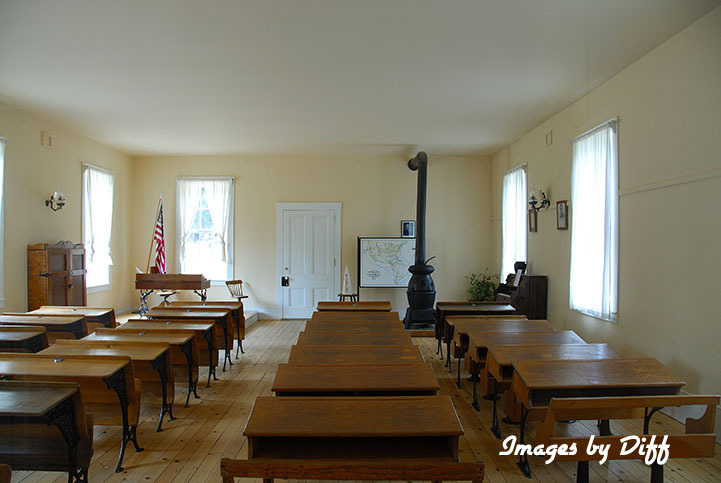 It was a two room schoolhouse. The upper grades were on the upper floor.